Q. Can I reset my account and start over? Yes. 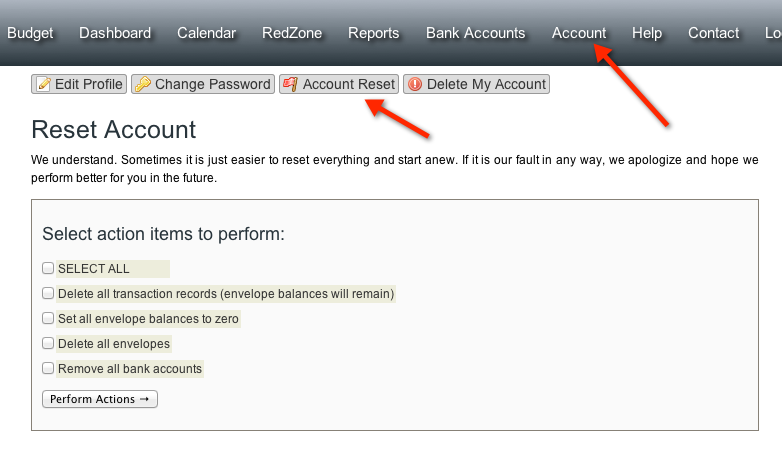 Click on the Account link at the top of the page, then click the Account Reset button and you will have options to reset various aspects of your account.